Support duties associated with location visits / inspections, deliveries, maintenance work, barriers to entry, insurance claims, equipment / assets conditions, or occupancy of premises. 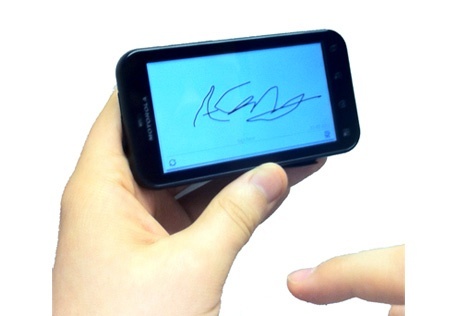 Collect signatures as possible receipt / collection of goods, or as authorisation / confirmation of inspections / claims. Can be used to record asset’s condition on-site and the data added to maintenance records for hire equipment. Crystal Ball’s MobileNFC adds powerful functionality to our MobileTrack Lite, Pro, and MobileLWP solutions, using the smartphone’s near field communication (NFC) technology to automate routine processes for field based personnel. 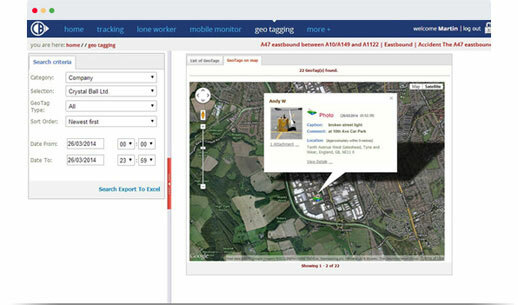 adding MobileNFC to MobileGeoTag allows companies to tag the location of assets and record photographic evidence in-situ for their current condition and surroundings. 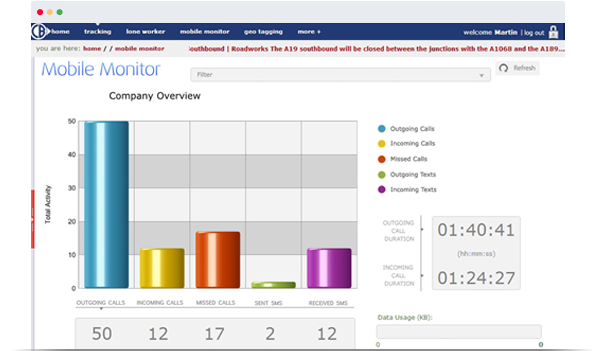 real-time business intelligence on company smartphones allows management to assess productivity of mobile workforces, and react immediately to ensure all targets are met and calls correctly prioritised. full visibility of call activity by employees away from the office ensures targets and SLAs are achieved. call duration data can be used for time billing against calls to specific numbers / clients. 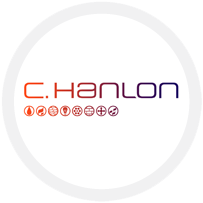 quickly identify and act against unnecessary phone calls to business / private numbers, internationally dialed, and premium 08 numbers. Why Do I Need Field Service Apps? Crystal Ball's Field Service Apps give you the data you need to fix issues on site faster, keep your customers and back office teams updated in real-time, plus save time and money documenting your progress as it happens. 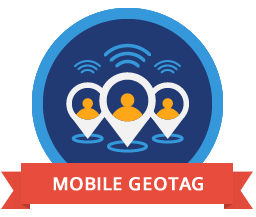 Geotagging is the technical term of having your location, time and date information attached or tagged onto the following digital content: a photograph, digital signature, check-in updated or text note taken on a smartphone. NFC or Near Field Communication is a form of communication that takes place between a NFC reader and an NFC tag. 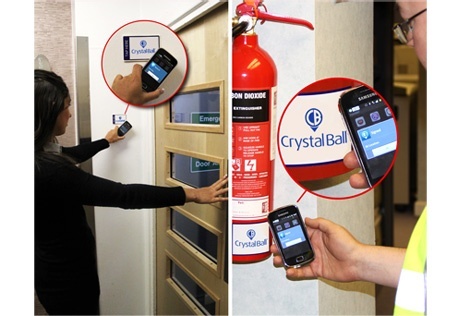 Most modern smart phones have NFC technology built in which allows Crystal Ball to build features into the system such as indoor check-ins for time and attendance and to initiate our lone worker welfare monitoring sessions. 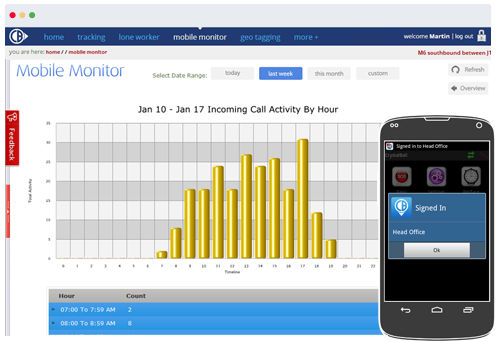 Can I monitor inbound mobile calls? Yes our mobile monitor app allows you to see in real-time both the inbound and outbound telephone number activity, the length of calls, missed calls, date and time of the calls. 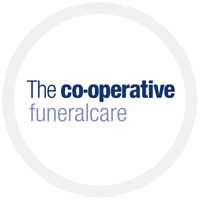 You can also make us of Alerts in order to be notified when for example calls are missed or premium rate numbers are called. Our team of product experts are waiting to answer any Field Service App questions you may have. Get a quick 15 minute online demonstration of our Field Service App Solutions.